You are here: Home / art & design / Are You Ready To Make History? Have you ever wanted to take part in a large-scale scientific study or in a big international art project? If so, here's your chance. This list is a growing compilation of websites where you can apply online and participate in various global projects related to culture, arts, technology, and/or science. Have fun! Sponsored by National Geographic, this is a landmark study of the human journey. Where do we really come from? And how did we get to where we live today? The Genographic Project is seeking to chart new knowledge about the migratory history of the human species by using sophisticated laboratory and computer analysis of DNA contributed by hundreds of thousands of people from around the world. In this unprecedented and of real-time research effort, the Genographic Project is closing the gaps of what science knows today about humankind's ancient migration stories. Scientists are collaborating with indigenous and traditional peoples around the world to learn more about where we came from and how we got to where we live today. But participation is not restricted to indigenous and traditional peoples; the general public is also invited to join in on the journey. 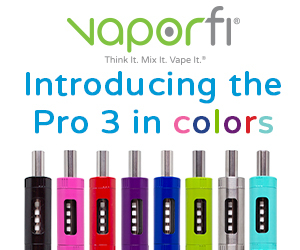 Participation kit costs $99.95 and with it you can sample your own DNA and submit it to the lab. The purchase price also includes the cost of the testing and analysis. If you are creative and feel up to the challenge of making your own pinhole camera and playing with it, you can participate in the Pinhole Photography Day. 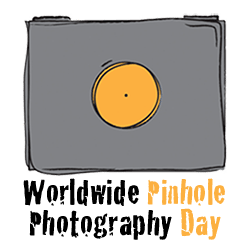 Anyone, anywhere in the world, who makes a pinhole photograph on the last Sunday in April, can scan it and upload it to this website where it will become part of the annual Worldwide Pinhole Photography Day celebration's online gallery. Locate a workshop near you. Andy Warhol stated that “In the future, everyone will be world-famous for 15 minutes.” This website is a homage to Andy Warhol and a realization of the artistic utilization of new media technology in the age of digital production. Anyone and everyone can be world famous… for 15 seconds. You can contribute to the piece using a standard mobile camera phone that can capture video, and send clips directly from your phone using MMS service, via email or upload from your pc to the online database. The clips can be portraits, experiential, vignettes, experimental, of love, of life, of anything, from banal to downright bizarre. 15×15 will be disseminated via the web and exhibited in galleries and projected in spaces around the world. Here is an art project that lets you burn your shadow as a signature to petition for world without nuclear weapons. Everyone's hope in form of shadows will be exhibited in museums and public facilities around the world, to speak of the hope for a world without nuclear weapons. Global Music Project represents a collaborative international network of music fans, artists, progressive businesses, social activists, event promoters, and others who believe .. in the power of music to attract, educate, and inspire humanity to participate in making a better world. Their main programs are music preservation and music discovery. Record music and video footage from developing cultures throughout the world. Promote, market, and distribute these recordings globally. Continue to expand our internet community and global web presence, so we can reach artists who wish to showcase their work and connect them to a global audience. Global Music Project is spreading around the world and are looking for people in your area that can volunteer a little bit of their time and/or resources. You can help make a difference in the world. The Girl Effect is a movement created by The Nike Foundation and in collaboration with key partners such as the United Nations Foundation and the Coalition for Adolescent Girls. It is driven by girl champions around the globe, and it promotes the idea that the empowerment of girls is the key to significant social and economic changes in developing countries. Watch this video to find out more. Does art therapy impact peace and sustainability on the planet? How do art, peace, and sustainability intersect? Does the creative process of art making resolve conflicts? Does art therapy build and sustain community? Is art therapy a “green” practice? 2) create your work on Polyvore.com and submit to the Art Peace Sustainability Event web gallery. Watch “Art Peace Sustainability Interactive Art Event” and get inspired. Here is a totally useless, global and non-commercial art project that needs your participation! Why men are inclined to take their pictures in bathroom mirrors alone in hotel rooms or on vacation. Time for a global check-up of this devoted extravagance. An art project if you like. 5) date & time for the occasion. Take your time, be inventive, be bold and personal. Bring matters to a head, another point of view by the side of the road. Thanks for your contribution! Spread the word! This is an International Art Exchange for Peace. Here's how it works: Participants create a work of art in any medium, expressing their vision of global peace and goodwill. The art is displayed locally in each participant’s community. Global Art Project then organizes an international exchange by matching participants—group-to-group and individual-to-individual. The exchange occurs April 23-30 biennially, resulting in thousands of people sending messages of Peace around the world at one time—visions of unity simultaneously encircle the Earth. The art is sent as a gift of global friendship and exhibited in the receiving community. Participants may send documentation of the art created and of the people who came together to create the art to the GAP Art Bank. Global Art Project exhibitions, books, slide presentations, and this website give people an opportunity to experience visions of peace and unity created by individuals from diverse cultures around the world. A very interesting online project that involves schools internationally, in an attempt to create a world portrait. The 100 People Foundation helps students to better understand the complex issues facing our planet and the resources we share. By framing the global population as 100 people, the media makes education more engaging and effective, and improves students' abilities to remember and relate to what they learn. 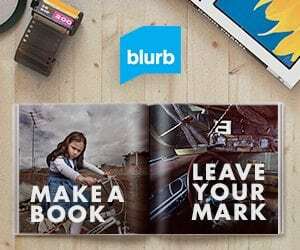 By traveling the globe to meet and create portraits of the 100 people representing all 6.7 billion of us sharing the planet, it is their vision is to create documentary films, photography, and educational tools that facilitate face-to-face introductions among the people of the world in ways that cultivate respect, create dialogue, and inspire global citizenship. Non-participation in systems of oppression is one key to constructing co-existence… For many, Mahatma Gandhi was the symbol of this struggle. Constructing Co-Existence is an international exterior paint/paste project intended to raise street art and its appreciators to their next level of authenticity. 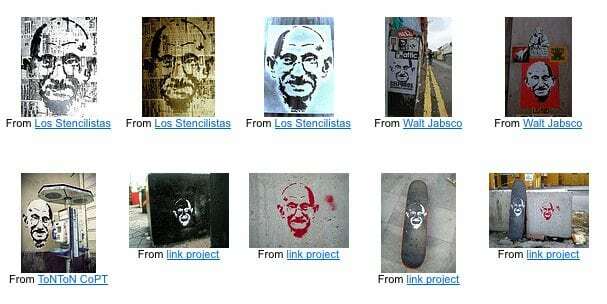 1) download the Gandhi image. Its fun to find Gandhi in all these photos from around the globe! We all need to coexist! If you know of any other interesting studies or creative projects open for participation to the general public, feel free to post a link in the comments. Thanks. this list is not only interesting and heartwarming, but important. it´s showing how we are making a world wide shift away from silly arguments and political frenzys to the people spreading peace and loving support. great great list.